From 13 April to 30 July 2017, and from 11 October 2017 to 28 January 2018. 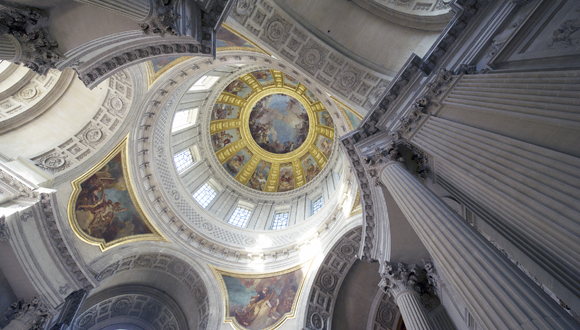 This admission ticket gives access to our permanent collections, the Dome Church, Tomb of Napoleon, the Saint-Louis Cathedral, the Charles de Gaulle Monument and the temporary exhibition. Youths between the ages of 18 to 25, nationals or residents of an EU Member State, and holders of the Pass Education that allows free admission to our permanent collections will pay an entrance fee at 8,50 euros to visit the temporary exhibition. From 31 July to 10 October 2017. This admission ticket gives access to our permanent collections, the Dome Church, the Tomb of Napoleon, the Saint-Louis Cathedral and the Charles de Gaulle Monument.